“Roughly 40-50 miles in, just as we began to question whether or not the road could possibly continue any further, we came upon the village of Kuandor, a village nestled in a valley three or four valleys away from the main urban area, so it is extremely remote. We were escorted by Pastor David Allieu, a Salvation Army pastor who, in partnership with the JFCPS, has planted eight churches, six of which are thriving and two having challenges. Robert and Peter had the opportunity to experience three JESUS film shows in various locations. On the first film show, which was on the outskirts of Makeni, about 110 people came and 30 made a decision for Christ. The Action Group from the mother church came back the next day to follow-up with new believers. On the second event, in Mokoloh village, more than 200 people came, including those from surrounding villages. At least 120 responded to the invitation to receive Christ. The third event saw 340 people watch the JESUS film with 150 responding to the invitation at the end. The new equipment set worked very well, but the highlight of the evenings was certainly the work of the Holy Spirit in the hearts of the villagers. 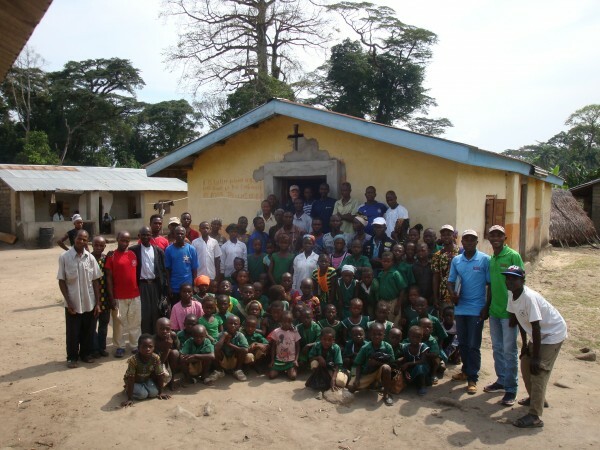 Robert and Peter visited 31 JFCPS church plants during the two weeks they were in Sierra Leone. In addition to that, they were also able to gather testimonies from the JFCPS teams, church plant leaders and members. All in all, it was a very productive trip that encouraged not only the locals but the Canadian staff as well. All glory to God!